The “elites,” touring professionals and top caliber amateurs, unquestionably hit the ball farther than in the past however that’s not the issue. We need to know if added distance is a detriment to the game. But that’s not the whole story. Mitchell is only number 10 in driving distance, McIlroy is 6, Woods 36, Finau first and Woodland 9. More interesting, in fact very interesting, is how swing speed translates into scoring average: Mitchell is number 143, McIlroy 16, Woods 5, Finau 13 and Woodland 29. To put this in perspective, this year’s scoring average leader is Dustin Johnson at 68.843 strokes per round and in 1999, prior to introduction of the “game-changing” Titleist Pro V1, the leader was Tiger Woods with an average of 68.432. How about a correlation between swing speed and money won? Mitchell is number 170 in official money after 10 events, McIlroy number 19 and 5 events, Woods 32/5 events, Finau 10/10 events and Woodland 15/11 events. In money won per event played Mitchell is number 215, McIlroy 8, Woods 15, Finau 19 and Woodland 25. Then there’s an oft voiced concern courses are being turned into “driver-wedge” layouts, but the percentage of greens hit in regulation should tell the story. 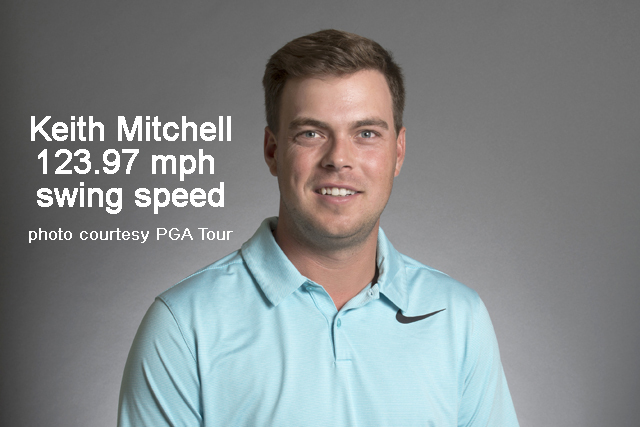 Mitchell is number 113 hitting 64.93% GIR, McIlroy 182/60.78%, Woods 174/61.42%, Finau 32/69.29% and Woodland 3/72.76%. Again, comparing with 1999, David Duval was first with a 73.57% GIR while today Kevin Streelman the 2018 leader is at 72.83%…more statistical noise. We could go on, but the conclusion is obvious, though the elites are swinging faster and hitting the ball farther it does not translate into results. The question is why don’t the solons of rules at the USGA and the R&A? There have been unsupported statements about several topics among them ball distance causing slow play, forcing layouts to add length and of course, the great old shibboleth, traditional classic tracks are unable to host Tour events. All these opinions are nonstarters and their proponents have yet to present facts in support. We all know slow play has everything to do with the individual players not the distance they hit the ball. The problems and costs of maintaining all golf courses, not just the ones beefed up in the belief longer is better, have been addressed by greens superintendents already much to their credit. Finally, the old classic courses (usually spoken of in mystical terms) is that many don’t have the acreage for parking, corporate hospitality, television production and tens of thousands of fans. Ball distance has nothing to do with it, they just aren’t capable of holding a big-time event. Those who want to either “roll back the ball” or split the rules into us-and-them, so-called bifurcation, seem bent on convincing themselves tee ball distance needs to be fixed and equally convinced to do so in the face of a mountain of contrary facts. Even the USGA’s own 2017 Driving Distance Report doesn’t make a case for the ball going too far. The PGA Tour and the PGA of America have stated there isn’t any problem as have Acushnet, makers of the Titleist Pro V1, and TaylorMade Golf whose drivers are the most played by professionals worldwide. The PGA Tour clearly understands they are in the entertainment business and knows Hank Haney has it right saying people don’t go a ballgame to see a bunch of bunt singles, they go to see homeruns. What we are facing is not a problem of the ball going too far but the perception of a problem simply because a few respected industry members have beat the drum long enough that the USGA and R&A finally have said they agree. That’s no way to decide any issue. The ball distance discussion isn’t over. Not as long as Tour players are bigger, stronger, better trained elites playing clubs computer-fitted to their swing, hitting low-spin solid core balls onto firm, fast fairways. The USGA and R&A have said there is a problem evidently so then they can justify imposing a solution and more importantly and more tragically is how they are clearly out of touch with the overwhelming majority of golfers.